The DevOps movement is going strong, and it seems employers everywhere are looking for leading DevOps professionals with the skills and expertise they need to complement their existing DevOps teams. While a great DevOps pro may mean different things to different employers and hiring managers, engineers can boost their odds of securing an interview and landing the job if they position themselves right on their resumes – and that means not only including important skills and experience and demonstrating your expertise, but also avoiding common mistakes and eliminating fluff that can leave the wrong impression on recruiters and hiring managers. Find out what our pros had to say about the biggest DevOps resume mistakes to avoid by reading their responses below. Reuben Kats is a Web Designer for Falcon Marketing. One needs to leave out previous clientele that they may have worked with and any information before high school. One of the main reasons why people don’t always get hired at a web design firm is because they expose too much information regarding their past experiences. A company wants to see what you can do for them; the work you’ve done before can really damage your opportunity – especially if you’ve used layouts or templates instead of doing the actual design and development on your own. You need to be aware that any NDA information must be kept secret even after the actual interview, as well as any side information that doesn’t relate to the job you are seeking. Also, keep things professional; if the resume is poorly written, then the dynamics of the work can be affected. 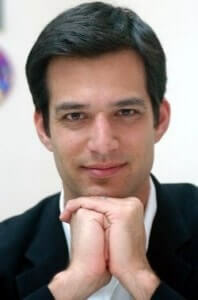 Cristian Rennella is the CEO & Co-Founder of el Mejor Trato. 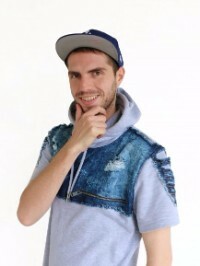 He got his degree as a computer engineer in 2007 and also has a diploma as PHP web developer. 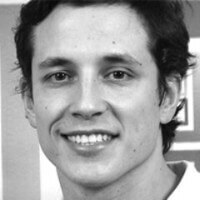 He has 8 years of experience in online entrepreneurship in South America, now with 34 employees and with more than 21.500.000 users working across many countries. Personally, when reading a CV, personal objectives unnecessarily classify candidates and don’t add any useful feature. Once I received a CV with this objective: “To get a post as a software developer in a computer company.” “A post as a software developer” is obvious after reading candidate’s degree(s), so there is nothing new here, and “in a computer company” just made me think that the candidate was not actually interesting in working with us since el MT is not a computer company as such, although he may have liked it in the programming area. If the prospective worker meets the requirements for the empty post, this should be clear in his/her professional experience. They don’t have to define themselves or what they are going to do in their own terms. This is the employer’s responsibility. 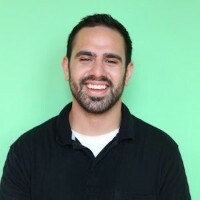 Ryan is WebLinc‘s first ever People Operations Manager (previously known as HR) and has been at the Philadelphia-based e-commerce software company for 4+ years. Recruiting is just a piece of what he does. Ryan’s experiences in technical recruiting are built on a foundation of combining more traditional practices and lots and lots of learning on the fly. They should highlight the technologies in question. For example, if a job post is for a Ruby on Rails Developer, it’s not that helpful if they list out PHP, Python, .NET, Swift, Ruby, HTML, etc. Diagnosed with Asperger’s syndrome only a few years ago at age 54, Denver-based business consultant Tim Goldstein, 57, is a self-proclaimed “neurodiversity communications specialist” – helping companies and organizations of all types to help leaders and employees better understand how co-workers who are on the autism spectrum function. Indicates they are a Lone Ranger, prefer working by themselves, or are not team-player oriented. These indications can be as subtle as a very solo pursuit in your interests or not mentioning contributions to the team in your descriptions. The reason for this is DevOps requires team thinking and high levels of team interaction. The developer or ops person stereotype is working alone late into the night and only relating well with technology. Indicating you fit this stereotype works against you by sowing the seeds of a poor team fit. 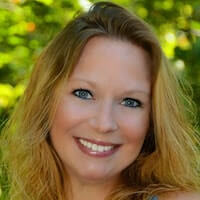 Pauline Delaney is a Senior Resume Expert at Resume Genius, the world’s leading resume building resource. Writing a career objective and engaging in skill dumping. 1. Stop including a career objective. Career objectives are long obsolete because the intent is obvious; the act of applying makes a candidate’s intentions clear. Instead, use this precious resume space to give an overview of your career and key accomplishments. 2. Don’t engage in skill dumping. Software Engineers tend to overload their resumes with every technical skill they have learned from college onwards. This is skill dumping, a phenomenon far too common in the tech industry and is extremely counter-productive. Candidates who are unsure about the details of an open position option to take a shotgun approach by including every single skill, tool, or language on their resume. They hope that at least a few their skills will be picked up by the hiring manager or automatic tracking systems (ATS) and thus make them qualified for a position. Instead, first look at the job requirements. Often they will list all the necessary technical skills needed to succeed in the role. Include only the skills listed that correspond with your resume. One final tip – research as much as possible into the company’s product technology by using your engineering skills to make an educated guess about the skills required by the position. Bianca Diosdado is CEO at Octagon Technology Staffing | Octagon Talent Solutions. She leads a team of technology recruitment & staffing professionals and manages a book of business that reads like a “who’s who” of the companies that technology professionals in South Florida want to work for. She is recognized in S FL as a thought leader, specializing in the technology recruitment space across a variety of industries. 1. Tools with which they don’t have experience in the work history. Many times, they’ll include technologies where they have a high-level knowledge, but not tangible experience. This is misleading. Instead, they should keep tech interests under Interests. 2. Side projects should be included at the bottom of the resume, not under work history; it’s misleading. 3. Generic summaries that do not apply to the job they are applying for. Job requirements are becoming more specific and resumes need to be tailored for each job. DevOps engineers have many different titles; a system engineer, software engineer, and DevOps engineer can have the same scope of responsibilities. Help the hiring manager understand Why and How the experience stated is within the DevOps realm. 4. Their picture, marital status, and date of birth. You don’t want to be discriminated against. 5. Engineers should not limit their resumes to one or two pages. Keep it descriptive – typically 3 to 6 pages. Hiring managers don’t read resumes; they scan them and ask questions more often than not. Larry Port has worked with thousands of law firms worldwide since 2008 when he started the first cloud-based legal practice management software company, Rocket Matter. Rocket Matter has since remained a leader in the industry, boosting law firm’s revenues by more than 20%. I can’t tell you how many times engineers put a programming language on their resume after reading a book or watching a video on it. When I start drilling into their knowledge during a technical interview, it becomes awkward as it’s obvious they were fibbing on their resume. Getting caught in a lie during an interview is a surefire way to not get hired. 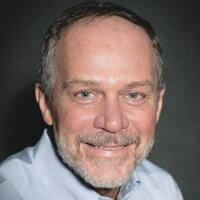 Chris Ciborowski is the CEO & Principal Consultant for Nebulaworks. Title. For anyone that really understands what DevOps is, they would not call themselves a DevOps Engineer, DevOps Architect, or DevOps Team Lead. Anyone who is a DevOps practitioner, someone who believes in and supports the enablement of DevOps principles, knows this is not an individual title or an organizational structure. So, if you want to be taken seriously, state what you are doing, like Site Reliability Engineering, Continuous Pipeline Engineer, or management. Drop the title. Lingo and clichés. So many times we see resumes touting years of experience with modern tools, and then a list of the latest and greatest technologies, many of which are only a year or two old at best. Drop all of the names of the tools and include what the result was of using the tools, or better yet, what tools you built to solve the unique challenges of your current environment that demonstrate following the CAMS principles of DevOps. 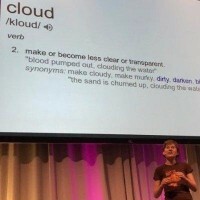 In addition, clichés like “Changed the culture of my department to adopt DevOps,” but not including anything like building a technical university or up-skilling process shows no more than a surface knowledge of what is really needed to adopt change. Angela Copeland is a career coach, TEDx Talk speaker, author of “Breaking The Rules & Getting The Job,” and founder of coaching firm, Copeland Coaching. Angela hosts the Copeland Coaching Podcast. 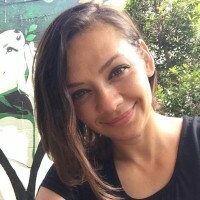 Angela previously served as Vice President of Digital & eCommerce and started her career in Computer & Systems Engineering. Career resources departments train young engineers to always include their GPA on their resume. This is great – when you first graduate college – if you have an impressive GPA. Once you’ve been out of school for a few years (or if your GPA isn’t stellar), drop your GPA. Few people will notice, or even care. But, leaving your GPA looks young and a little out of touch. 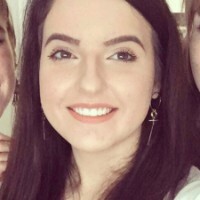 Eva Wislow is an entrepreneur and HR Manager at CareersBooster.com. 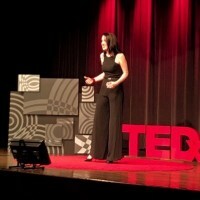 She is on a mission to help people challenge themselves and achieve their most ambitious career goals. Eva enjoys to stay up to date with the latest tech news. Go over 7 pages, filled with different technical details, old certifications, and so on. Those resumes take a lot of time to understand. Engineers should stop including EVERY technology they have ever interacted with. Such a resume introduces you as a person who can’t weigh and prioritize the importance of your own work. 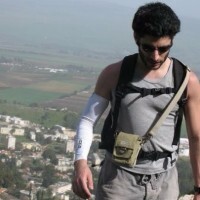 Nir Cohen is the VP of Engineering at Strigo and a co-organizer of DevOps Days Tel Aviv. NOTE: The following information is excerpted from Why you’ll NEVER nail that DevOps interview via VentureBeat. 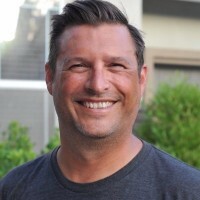 Let’s look at John Doe’s resume: Self-motivated DevOps Engineer with over 3.7 years of IT experience in Systems Engineering, Development and Operations. Looking to work on Free/Open Source Software. 3 yrs of experience in DevOps and Systems Engineering on several flavors of Linux. 2 yrs of extensive experience on virtualization and cloud management. 2 yrs of work experience with Agile development methodologies. Proven ability in leading the teams on technical operations. Experience in writing the automation scripts with Python, Ruby, C, and Shell Scripting. Experience on LDAP management and integration with other applications. Extensive experience on web applications (LAMP) configuration and administration. Knowledge on mobile platforms like BREW and Android. Proven ability to deliver sessions and conduct workshops on various technologies. Even if we assume that John Doe somehow managed to get some decent experience with all of the above in such a short time span, we still don’t know if he can apply the correct tooling to an arbitrary problem. We don’t know if he can solve problems at all. We don’t know if he can even identify there IS a problem. Wouldn’t it be more useful if, instead of “Experience in: Nagios, Statsd, Graphite, Logstash, Elasticsearch, Kibana, collectd,” John’s resume said “Loves researching and implementing monitoring solutions for challenging architectural problems”? LiveCareer is all about giving you the tools you need to land the job you want. Their team includes career development experts, certified resume writers, recruitment specialists, and a wide range of passionate professionals, all laser-focused on helping you get hired. NOTE: The following information is excerpted from IT Resume Samples via LiveCareer. Don’t focus on your technical skills to the detriment of your written communication skills. Reserve the first-person pronouns like we, and me for your cover letter. Your resume is a more formal document. Refer to IT resume samples for the proper voice. Because of the complex nature of many IT projects and the potentially long list of skills and software languages, it might be tempting to let your resume go to three or even four pages, but don’t do it. By using formatting techniques and editing, you should be able to keep it to a maximum of two pages. You can expand on your qualifications during the interview. Proofread your resume. Then proofread again. Then have a friend proofread. 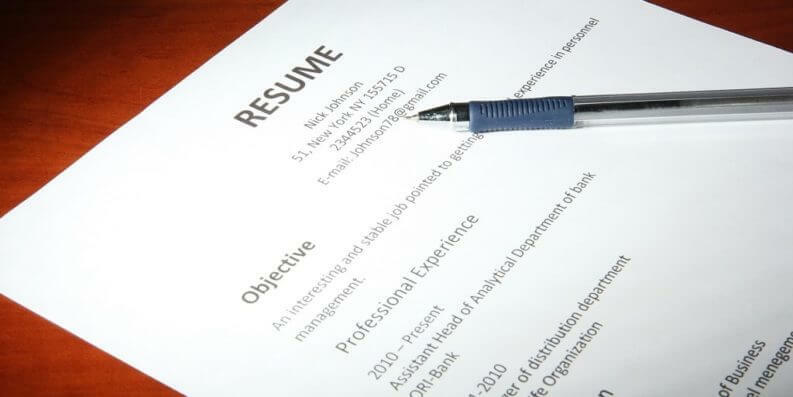 Typos and mistakes jump off the page when a potential employer is reading your resume. Don’t talk about what you’re looking for in an employer. At this point, it all about what the employer is looking for in a candidate. Bruce Harpham, PMP, writes on technology and project management at Project Management Hacks for growth-oriented professionals. NOTE: The following information is excerpted from 10 resume do’s and don’ts for developers via InfoWorld. Every technology they’ve ever touched. Rather than listing every programming language or product you’ve used, limit your resume to those skills where you have significant dexterity and expertise. Otherwise, you run the risk of embarrassing yourself in the interview. TechTarget SearchSecurity offers the latest cybersecurity news, tips and features on security threats, data breaches, research, and more. NOTE: The following information is excerpted from Information security resume do’s and don’ts via TechTarget SearchSecurity. Being redundant. Redundancy is the main culprit in making a résumé longer than it needs to be. Listing the same bullet points under each of your last positions gives the appearance that you have not challenged yourself. Be sure to accentuate your most current accomplishments in any position. Reinforce your skills, but avoid overkill. Always point out promotions you have earned, and technical and non-technical skills that you have developed. For example, if you authored an information security policy at your last three companies, list the accomplishment. However, as you advance in your career, this skill should become a smaller component of your overall job function. 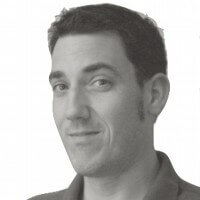 Dave Fecak founded the Philadelphia Java Users’ Group and served as president for 15 years. 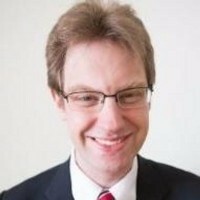 He actively blogs on software engineering career topics at jobtipsforgeeks.com, and is the author of “Job Tips For GEEKS: The Job Search” ebook (available on Amazon). Professionally, Dave recruits engineers for startups and consults to companies to design hiring strategy. He is the principal of both Fecak Inc. and the resume review and writing service Resume Raiders. NOTE: The following information is excerpted from How Should You Put Soft Skills on a Technical Resume? via DZone. Some writers choose to use some kind of key skills type section somewhere in the top third of the resume, which often looks like a tag cloud with phrases like “requirements gathering” and “business analysis,” or even more generic, “interpersonal skills” or “excellent communicator.” These sections are again somewhat useless self-assessments that I generally refer to as “fluff” when speaking to clients. It’s noise, not signal. Don’t waste the space. Telling a reader that you gathered requirements or worked with end-users provides insight into a responsibility, but it doesn’t really provide much information about how skilled you may be in those interactions. This is where technologists sometimes will pepper a sentence with words like “adeptly” or “skillfully,” which again has no value to the reader. Don’t get me wrong; a brief mention of having responsibility for some human interaction is a tad helpful by showing that you’ve at least done that task before, but trying to elaborate on these duties is probably not the best way to get your point across. Conor Delanbanque has been recruiting and leading recruitment teams in the DevOps space for the past few years. 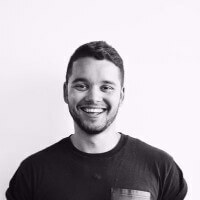 As well as being exclusively responsible for growing some of the most innovative DevOps & SRE teams in the US and Europe as an external consultant and recruiting partner, Conor also founded the Future of DevOps Thought Leaders Debate, sponsors DockerNYC Meetup on a regular basis and co-hosts ServerlessNYC. You can find him on LinkedIn or at events, expos and writing articles on DevOps.com. NOTE: The following information is excerpted from DevOps Team Builder Shares Tips for Getting Hired via Hired. Your LinkedIn profile should be up to date with relevant content. Do hiring managers need to know that you worked in a part-time job in the local grocery store 10 years ago? No. They do, however, want to see what you have achieved in your current and previous roles, and in the mind of these managers, not all DevOps jobs are created equal. There are a number of you out there who come from systems administration or infrastructure backgrounds who aren’t selling yourselves correctly. If you have been using configuration management tools such as Chef, Puppet, Ansible, or Saltstack, you should add these to your resume. The same goes for container orchestration tools such as Docker and Kubernetes, continuous integration tools, and so on. Don’t create an exhaustive list, but make sure to mention how whichever technologies you most often used allowed you to achieve project goals. E. Dunham is an open source geek of many trades, currently working as a “DevOps” Engineer for Mozilla Research. This role has applied skills learned at the OSU Open Source Lab and a variety of other companies to improving the Rust programming language’s tools and infrastructure. Other hobbies include writing, gardening, and enjoying Oregon’s outdoors. NOTE: The following information is excerpted from How to add open source experience to your resume via OpenSource.com. Map the list of required skills in a job posting to your list of experiences on your resume or CV. If you’ve been sufficiently thorough at figuring out where your free time has gone for the past year or two and you code a lot, you might now be facing a surprising problem: Too many items to fit on a single-page resume! If anything on your list of experiences didn’t demonstrate any of the skills you’re trying to showcase, cross it off. If an item demonstrates few skills and you don’t have any stories that you enjoy telling about it, cross it off. If this abridged list of things you’ve done still won’t fit in the format of a resume, prioritize the experiences from which you gained a relevant story or extensive experience with a desired technology. At this point, it should be obvious if you need a better piece of experience to hone a particular skill. Consider using an issue aggregator like OpenHatch to find an open source project where you build and practice your skills with the tool or technology that you’re missing. 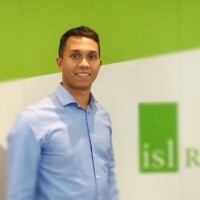 Laurence Downing is a Specialist DevOps Consultant at ISL Recruitment. NOTE: The following information is excerpted from CV success for the 2017 techie… via LinkedIn. It’s important to describe your technical skills in the context of your daily work and give examples of projects you’ve worked on, at what level, and what you achieved. Given the fast-paced environment of IT, show too how you’ve kept yourself up-to-date with innovations in your field. Personal development is important – mention mentoring programs and courses you’ve attended. It will help employers to decide if you’ll fit into their teams and organisations. Your style of writing should be clear and confident, but avoid hyperbole – remember, the nature of IT recruitment means you can be tested during the process. Consider showing your CV to a trusted colleague or mate for criticism and suggestions or even pin it over to me. 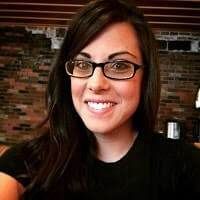 Erin Doman is a member of the content development team for Indeed Prime, the best job search tool for tech talent. NOTE: The following information is excerpted from 9 Common Tech Resume Mistakes — And How to Avoid Them via Indeed. Don’t waste your valuable resume real estate on projects the hiring manager doesn’t care about. Only include projects that either show off your technical skills or demonstrate your ability to carry out a challenging project through its entire lifecycle. If it’s not relevant to the job to which you’re applying, omit it. On a similar note, you should be sure to cater your skill set to the job you’re applying to. If you’re applying to a DevOps position, make sure your skills that are relevant to this position take precedence on your resume over your other skills. In this scenario, you might include your skills in Chef, Jenkins, or Puppet. If you are applying to be a Back-end Developer, be sure to write about your skills in Python, PHP, and LAMP. CBT Nuggets was founded in 1999 in response to a dire need for innovation in the IT training industry. The company provides on-demand video training for IT Pros. NOTE: The following information is excerpted from How to Build a Competitive DevOps Resume via CBT Nuggets. A competitive resume in any field combines hard knowledge and soft skills, but especially DevOps. Above par DevOps candidates can demonstrate competencies such as negotiation, presentation, project management, communication, and critical thinking. It’s hard to certify your people skills, and that’s what the interview is for anyway. You can, however, get certified in even the most entry-level project management methods to make your resume particularly competitive. DevOps culture is characterized by collaboration, feedback, experimentation, and continuous improvement, so unless soft skills are part and parcel of your arsenal, convincing a recruiter that you are ready-made for such a role is highly improbable. DevOps opportunities are everywhere, but competition can be stiff, as employers are looking for the top-tier candidates with the most relevant expertise. For more tips on interviewing and hiring for DevOps roles, check out this post. Preparing for an interview? Be sure to read our roundup of the top DevOps interview questions so you’re prepared to answer the toughest questions.